You have only 26 moves. This level has easy difficulty and you need to use good strategy to complete this level. This level have new bubble gum item. You need to break gum or else they will block next candy. 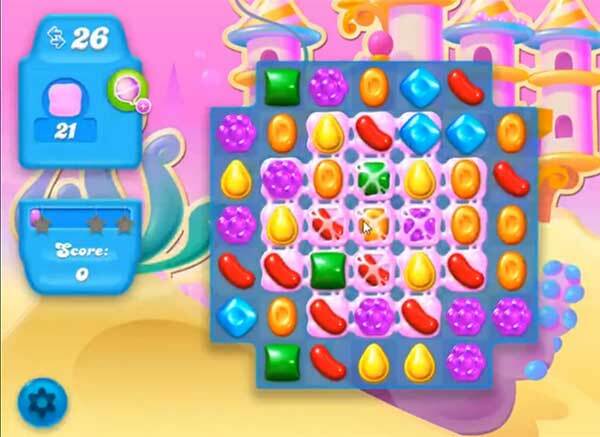 For this level you should try to play near to bubble gum to break them or make colorbomb or other special candy as you have more candies to play after breaking few bubble gum. Play more near to gum or use special combo like striped candy with wrapped candy or with fish to break more gums to reach the target.